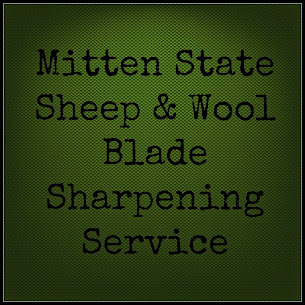 Mitten State Sheep & Wool : This Pretty Much Sums it Up! A big case of the blah's! We have not fired up the corn/pellet stove yet. It gets a bit chilly, but a blanket and warm dog seem to keep me happy in the evening. Today was a damp, cool, gray type of day. It rained last night too. The Rancher and I went around the winter pasture fence. I got cold right before we went in for dinner. I am known for wearing many layers. Hope you get some nice autumn temps. It was blah here yesterday - rain, cloud cover etc. Today should be better. Haha! You made my morning with that picture and caption. I'm still smiling. :-) I hope you have a better day today. We've had several fires, it's been so damp and cool. Then yesterday it was so mild I had to use the personal fan all morning! Weird. Oh that is so funny and makes me laugh..
Hope your weekend is better.. God bless..